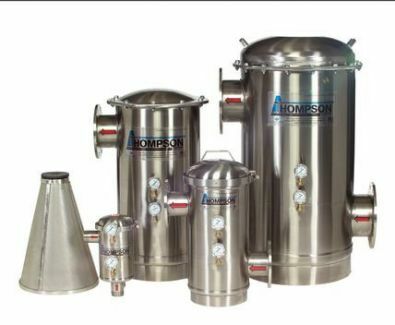 Miller-Leaman manufactures three unique filtration products, a patented line of stainless steel liquid filters/strainers commonly known as the Thompson Filter/Strainer, the Helix Screen/Disc Series and the evolution of automatic disc filtration, the Turbo-Disc filter. 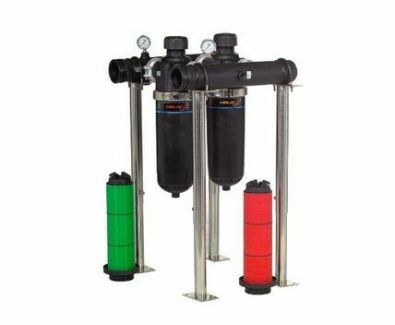 Miller Leaman’s Helix Screen filter models are available in three different sizes: 2”, 2” Super and 3” model. The filters can be installed in any orientation; however, it is preferable to install them with the 3/4” flush port at bottom. As water enters the filter housing, a high velocity centrifugal action occurs, spiraling heavier particles (sediment, scale, etc.) away from the screen cartridge, down to the base of the filter. These accumulated particles are then flushed from the filter via the 3/4” flush port connection at the base of the filter (valve not included). Miller Leaman’s Helix Disc filter models are available in three different sizes: 2”, 2” Super and 3” model. The filters can be installed in any orientation; however, it is preferable to install them with the 3/4” flush port at bottom. As water enters the filter housing, a high velocity centrifugal action occurs, spiraling heavier particles (sand, sediment etc.) away from the disc cartridge, down to the base of the filter. These accumulated particles are then flushed from the filter via the 3/4” flush port connection at the base of the filter (valve not included). 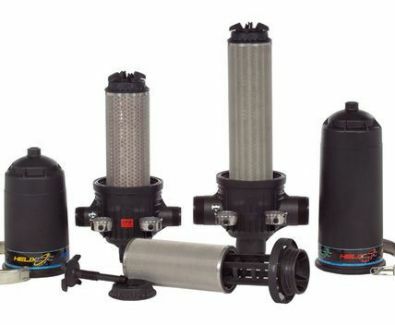 Miller Leaman’s Helix Screen filter models are available in three different sizes: 2”, 2” Super and 3”. The filters can be installed in any orientation; however, it is preferable to install them with the 3/4” flush port at bottom. As water enters the filter housing, a high velocity centrifugal action occurs, spiraling heavier particles (sand, sediment, etc.) away from the screen cartridge, down to the base of the filter. These accumulated particles are then flushed from the filter via the 3/4” flush port connection at the base of the filter (valve not included). 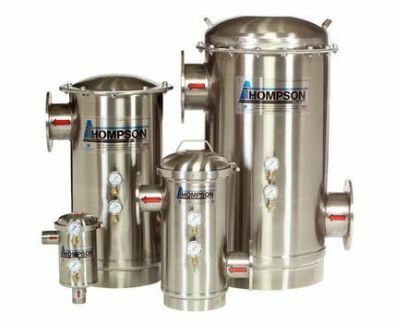 The Thompson Filter is a unique, yet brilliantly simple product used in a variety of applications to remove particles from irrigation water and other liquids. 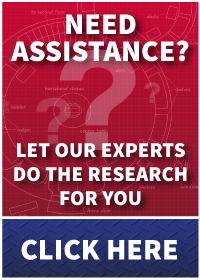 Whether the need is to protect irrigation sprinklers or drip emitters from plugging with particles or straining particles and other contaminants out of liquid fertilizer, the Thompson Filter is a quality product you can depend on. The Thompson Strainer is our highly efficient, patented stainless steel strainer which features a large conical screen, offering substantially more screen surface area versus traditional y-strainers or basket strainers. 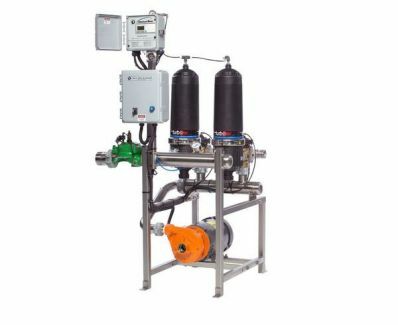 The Automatic Turbo-Disc Filter is a fully automatic, self-cleaning disc filter system. 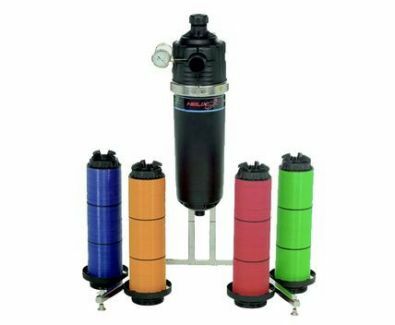 Available in multiple micron sizes, the lightweight three-dimensional polypropylene disc media uses a minimal amount of backwash water (approximately 10 gallons of water per pod) relative to other automatic filters on the market.